When we get together with our grown sons and daughter-in-law, we often socialize over a board game or two. These European-style (sometimes called German-style), strategy board games are much more intriguing and complex than the board games we played with our boys when they were little. These games require strategic planning and thought, and don't rely as much on luck as American-style board games. Here are a few of our favorite strategy board games. Do you play board games with your family? "The family that plays together, stays together." Our two grown sons and daughter-in-law have introduced us to a few of the German-style strategy board games, (often called European-style games, or Euro-games) and we'll usually play one of these games when they come over to visit. The first game they introduced us to was Carcassonne, which still remains my favorite. These European-style family board games require strategic planning and thought, and don't rely as much on luck as American-style board games. The rules are usually easy enough that anyone can learn to play, except perhaps for younger children under the age of 8 or 10. Often our family will play them more as cooperative games, rather than fully competitive games, especially when we're learning a new one. Carcassonne, the first Euro-style board game that our sons introduced us to, is an award-winning tile laying game with simple rules but with enough opportunity for developing strategies that it remains engaging throughout game play. Tiles are placed to create a medieval landscape of fortified cities, roads, cloisters, and fields. Players place wooden followers, or "meeples", to claim the different parts of the landscape, and points are awarded when these features are finished, or at the end of the game for fields and unfinished elements. 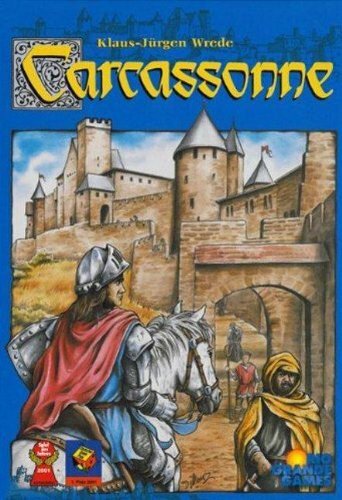 Carcassonne is considered a "gateway" game to other Euro board games, since it introduces many of the concepts for these other strategy games. The basic game takes about 45 minutes, but can last longer with expansion kits. We have The River and Traders and Builders expansion kits, and the way we play, with much discussion and negotiating, our games can last a couple hours. Ticket to Ride is another award-winning game with easy-to-learn rules that involves a mixture of luck and strategical planning. The object of this game is to create railway routes connecting various cities. When we've played Ticket to Ride, our daughter-in-law handily won it each time, creating the longest railway routes. We played the North American version which is less complex than Ticket to Ride - Europe (but therefore easier for me to learn!). Power Grid is the most complex strategy board game that I've played. The goal of this game is to provide electricity to your network of cities. The player who provides the most cities with power wins. During the course of game play, the power plants available become more advanced (more uranium plants available) and can power more cities than the plants available earlier in the game. The availability of resources also varies over the game. Since the order of play is re-determined for each round, the playing field stays more level. It's difficult for one person to jump out ahead and stay ahead, which creates more excitement near the end of the game. 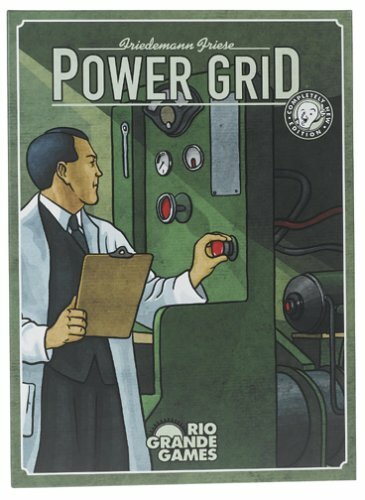 Power Grid comes with a two-sided board game -- U.S.A. on one side, and Europe on the other. Pandemic is truly a cooperative game -- we all win, or we all lose. The goal of this game is to find cures for all four plagues, while contain outbreaks of plagues before they can become pandemics. Each player is randomly assigned a role on the disease control team (dispatcher, medic, researcher, operations expert, scientist) and cooperatively works with others on the team to decide where to go to treat hot spots of different viruses, and do research for eradicating the viruses before they can break out and consume the world. Since only up to 4 players can play, not all roles will be present. 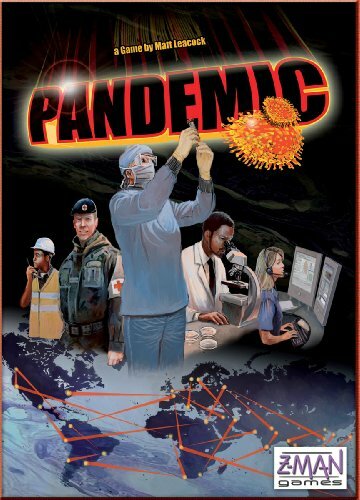 There is also an expansion set available, Pandemic: On the Brink, which adds another disease to cure, and allows 5 players. The Settlers of Catan was one of the first German-style strategy board games to become popular outside of Europe, and a best-selling game in both Europe and North America. It's the most recent game that I've learned, and is quickly becoming one of my favorites. 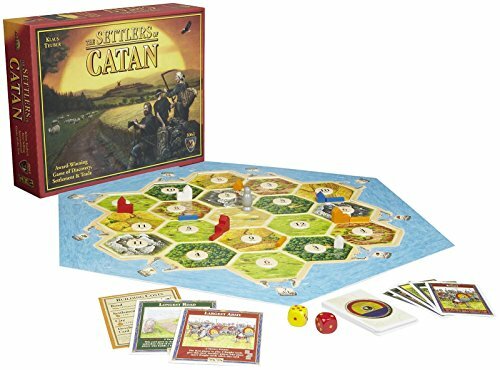 In this game, we are settlers on the island of Catan, aiming to develop our settlements, while trading and acquiring resources. There are many rules, but they're straightforward enough for children and beginners to enjoy the game, while also allowing for more experienced players to work on their playing strategies. We're still playing with the beginners' set-up, although advanced players can lay out a more random map of the island. Because of its popularity, The Settlers of Catan has come out with a number of extension and expansion packs, including Catan: Cities and Knights Game Expansion and Catan: Seafarers Game Expansion. Describes the characteristics that define "German-style" or "Euro-style" board games. Discusses the differences between these categories of games. Drop Me a Line! Do You Have a Favorite Board Game? Okay, We completely reccomend Ticket to Ride and Settlers of Catan. We have an 11 year old boy who loves these games and we do too! When we have his friends over, we are always playing these two games and the boys go home asking for this game! What a refreshing option to video games!! Can anyone reccomend another game similar? What is Pandemic like? The Settlers of Catan by far, an absolute classic. I'm also a fan of Risk. Hi lifeboost, I'll have to check out the two games you mentioned: Grand National and Cashflow! Thanks for your comment. I don't think I'd like Carcassonne as a negotiation game. Of course, I'm not a fan of negotiation games to begin with! Thom, if you prefer strategy over luck, Settlers is NOT your game! The others are pretty good, though. You've named my all-time favorite board game: The Settlers of Catan. 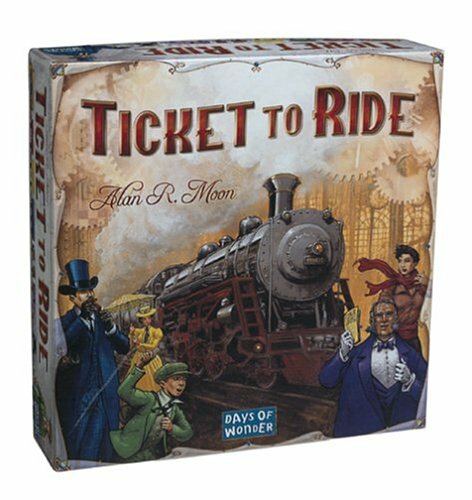 I also enjoy Ticket to Ride. These sound like great games to learn and play. I like the idea of strategy over luck, which is probably why I've always liked Chess. I love board games but have never seen any of these. Thanks for introducing them. We haven't played it yet, but we have Settlers of Catan. Need to get it out and learn it! Hi ohcaroline -- Monopoly online sounds like great fun! 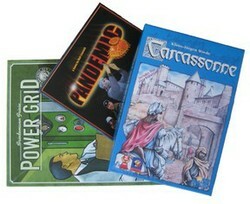 Some of the games I featured, including Catan, can also be played online, but I haven't done that yet. Something I'll have to check into!.